Young Driver surcharge of R135.00 per driver , minimum age is 23, there is no maximum age. Water and under-carriage damage to vehicles. Windscreen, tyre and rim damage . Rate code and account number must be specified at time of reservation and stipulated on the voucher. Failure to advise these details will result in incorrect billing which cannot be rectified later. 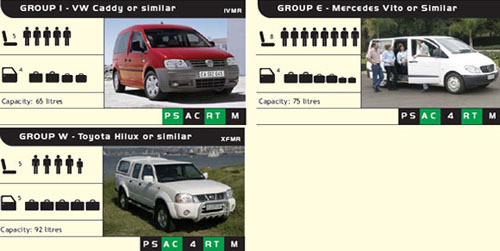 Extension rates apply when the renter extends the rental beyond the voucher days or with Diesel Car Hire directly. 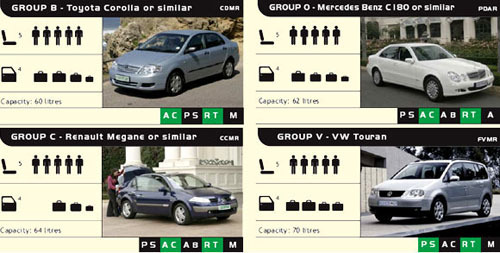 Diesel Car Hire reserves the right to replace vehicle models with similar specifications. 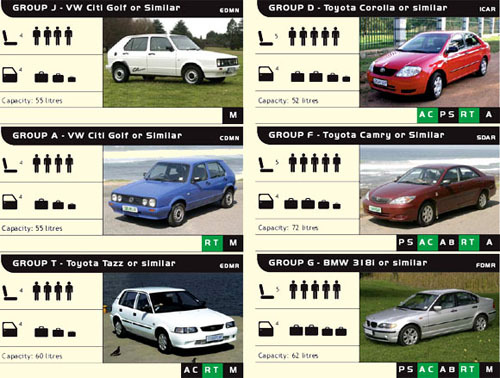 Group S only available in Cape Town. No one ways permitted.